For that person who has everything, treat them to an experience that they will carry forever. Now available 4 & 8 week punch passes. 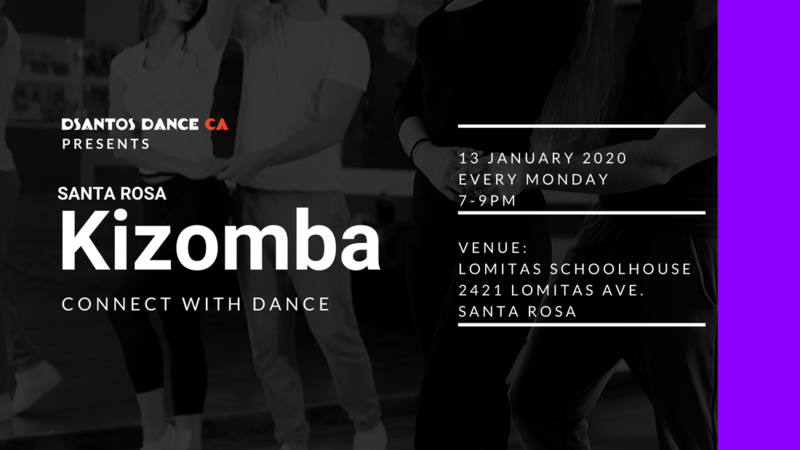 Dance Salsa, Kizomba and Bachata in Sonoma County! 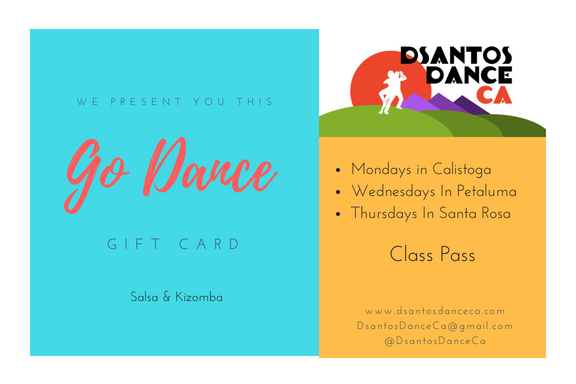 Dsantos Dance Ca is an Afro-Latin partner dance school in the California Bay Area, hosting weekly classes and events. Dance Salsa, Kizomba and Bachata in Santa Rosa, Calistoga or Petaluma. Stop driving to the city! We host beginner and advance Salsa, Kizomba and Bachata classes, so if you're looking for a fun judgement free place to dance Salsa, Bachata and Kizomba you have found it. Meet local North Bay dancers, and learn together. We believe that happiness and personal satisfaction come from making daily progress towards achieving goals. Every day we work to be better examples, better teachers, and better community members. Likewise our students have personal goals, and we push them every day by giving personal attention to strengths and weaknesses in a fun and supportive environment. Meet dancers from around the San Fransisco bay area! Dance is more than a few dance steps, dance is the journey that one takes to get there. In this video series we meet local dancers that love to share the art of dance. We all have our reasons why we dance, see how these skilled individuals became who they are today. Learn Salsa, Kizomba and Bachata in the North Bay! The first Kizomba team in Northern California is here! Dance with the team during our weekly classes! Love to dance? Keep updated on the latest Salsa and Kizomba events! Monthly members have access to all weekly classes, plus discounts on events and private lessons! Take your dancing to the next level! Give the person you love a gift that will have them dancing for joy! Have you taken one of our class? Share your experience with us, we love to read about your experience! Take Kizomba class at home from Dr. Kizomba himself!